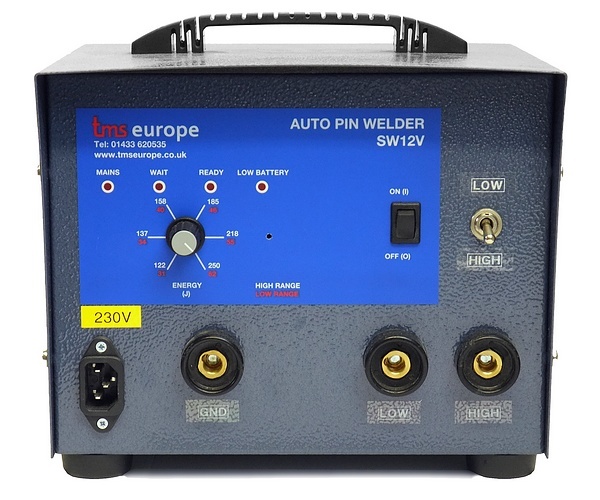 The SW12V is a mains and high capacity battery powered capacitance-discharge welding unit with up to 250 Joules energy output. 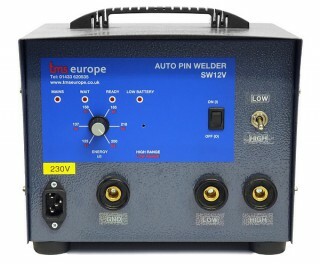 This makes possible the welding of pins, thick wires and thermocouple wires (up to 10 SWG (3.17mm) thermocouples and 8mm dia studs) on-site without mains power supply. 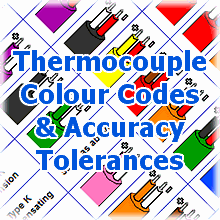 Low battery indication and very low battery protection.